The marine aquaculture sector can be broken down by: i) main farmed species (finfish, shellfish and algae) and ii) technology deployed. Production is seasonal with variable development time, depending on production cycles of different species. 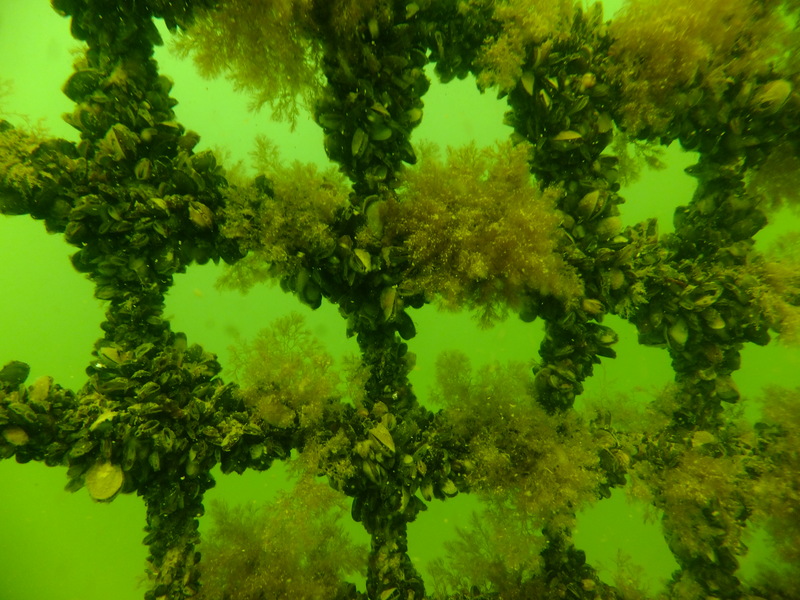 What are the present spatial needs of the Marine Aquaculture sector? Depending on the type of finfish or shellfish cultivated, marine aquaculture activities need areas with specific features (water depth, water quality, currents, etc. ); in addition, operational activities require easy access to ports and to other coastal facilities. From a quantitative point of view, only limited analyses have been carried out to evaluate the present spatial demand of European marine aquaculture. Based on information available from FAO, as little as 630ha have been estimated to be used in the production of 95% of European marine aquaculture,. Given that most marine aquaculture occurs in inshore waters, the amount of coastline impacted by marine aquaculture has been estimated to range between 0.5% and 3% of national coastlines (10 EU countries evaluated), although it is higher for small island states (e.g. Malta) or those with very short coastlines (e.g. Slovenia); and that production most often occurred in distinct clusters or areas. Future market demands: European aquaculture production has declined over the last 10-15 years, but there is almost universal acceptance that, at a strategic level, aquaculture production must increase within Europe. In order to satisfy the increasing demand for seafood, couple with reduced catches, decrease the dependence from importation, boost economic development and job creation, and reduce pressure on fish stocks, most EU Member States need to improve spatial planning for aquaculture, and some proposals as to how this might be achieved. New toolsfor siting, analysis of spatial interactions, cost benefit analysis, environmental impact analysis: New aquaculture national plans will be able to identify most suitable areas for this sector developments. Presently, inappropriate spatial site selection of aquaculture is a major constraint to sustainable development and expansion of the industry. New cultivated species: Increasing demands are calling for an expansion of the European aquaculture industry and therefore pushing for the introduction of new cultivated species. The biological and socio-economic potential of new/emerging candidate fish species is being explored. Their cultivation will demand new, specifically suitable areas. Co-existence: Growing maritime activities in coastal seas will definitively increase the need for this sector to solve the conflicts with other activities and define options for co-existence . Moving offshore: The opportunity to move offshore is challenging the sector  and will generate modifications in its spatial requirements, in some cases leaving free space in coastal waters, in others expanding the activities also offshore . Offshore expansion could be facilitated by synergies with other offshore maritime sectors, in a multi-use context ,, but also could possibly profit from synergies between coastal and offshore aquaculture (e.g. by sharing services or inland infrastructures) . Identify high potential areas: Within MSP process, identification of the areas with higher potential for aquaculture development should be considered, thus supporting better siting and expansion of the aquaculture sector to new areas (also offshore), including those areas suitable for introduction of new cultivated species, at present and also looking to future commercial trends. Stimulate farm clusters: MSP can support the aquaculture sector by stimulating the creation of clusters of farms, each within a management area (Aquaculture Management Areas – AMAs; or Allocated Zones for Aquaculture - AZAs ), which look at the specificities (social, economic and environmental) of their spatial area and manage to reduce those risks that might happen whilst optimizing farm production. Guarantee marine data availability: MSP should guarantee the availability of relevant marine data, available for the MSP process, to aquaculture practitioners. Availability of regularly up-dated spatial oceanographic data and data concerning other maritime activities is crucial for the sector, in order to define the location and the type of different productions. Streamline licensing procedures: MSP can represent a way to encourage national governments to overcome licensing barriers through providing clarifications, shortening and harmonizing procedures for licensing. In fact, limited success in obtaining licenses and time required for licensing procedure are perceived by the operators as major barriers to the sector’s development. Improve social acceptance: MSP can support the aquaculture sector by improving its social licensing. By bringing the sector into a multi-stakeholder debate, including the civil society, MSP can bring significant benefits to aquaculture, improving public perception and social acceptability. For more information, please view the long-version of the sector fiche which includes further detailed information, resources and references. What GUIDANCE is available to support the siting of aquaculture activities within a MSP process? A Guidance of Better Integration of Aquaculture, Fisheries, and other Activities in the Coastal Zone is available through the COEXIST project. This guidance aims at facilitating better integration of aquaculture, fisheries and other activities in the coastal zone by the identification and application of appropriate spatial management tools. Twelve operational tools are described. One of this is specifically focused on siting aquaculture activities: Suitability Maps (Tool 9) that helps to identify the suitable aquaculture sites, taking into account the environmental parameters of aquaculture species. Spatial planning guidelines for aquaculture were produced as a result of the Aquabest project. This was tested at two case study sites in Sweden, and identified several suitable aquaculture locations at each site. While the manual was developed with the Baltic Sea Region in mind, the case studies may provide suggested steps for aquaculture planning in other contexts. Allocated Zones for Aquaculture (AZA) are defined as marine areas where the development of aquaculture has priority over other uses and are therefore primarily dedicated to this activity. Starting from an extensive review of several experiences of spatial planning assisting aquaculture development, a proposed framing procedure to properly design and manage AZA is available. The procedure seeks to minimise environmental and socio-economical adverse impacts as well as conflicts with other uses. Within the Latvian MSP process, the Baltic SCOPE project demonstrated how permitted sea uses - including marine aquaculture - can be determined. Sea uses were categorised by type according to: i) Areas of priority interest (in relation to other sea uses, priority uses correspond to the priorities defined in the strategic part of the MSP); ii) Areas of potential development (e.g. renewable energy, tourism, aquaculture - in such areas, the developers need to obtain permits according to existing regulations); iii) Other types of uses of the sea and marine features, i.e. designations of informative character; and iv) Areas of general use where all uses are allowed. What TOOLS are available to support allocation of aquaculture activities within a MSP process? The AquaSpace project developed a targeted review of tools and methods that can be used for the spatial allocation of aquaculture activities in terms of environmental and economic costs (e.g. risks) and benefits, within the overall Ecosystem Approach to Aquaculture (EAA) framework. Identified tools and methods were reviewed and evaluated based on specific functions and components and through consultation of the stakeholders involved in the AquaSpace case studies (please see the following question). Existing gaps and needs for the development of future EAA supporting tools and methods are also identified. Additionally, the AquaSpace project developed the AquaSpace tool in order to achieve an effective implementation of MSP for aquaculture by adopting an Ecosystem Approach to Aquaculture (EAA). The GIS-AddIn allows users to spatially represent and compare risks and opportunities of aquaculture development over a number of potential sites. The overall effect of alternative planned solutions of aquaculture is assessed through a set of 30 specific indicators. Tool outputs are pdf-format reports including general site information, results from all indicators and graphs, allowing comparison among scenarios. The overall process supports stakeholders in taking informed and evidence-based decisions on proposed aquaculture solutions. What EXPERIENCES are available on spatial allocation of marine aquaculture? The AquaSpace project deliverable “Case study final reports” provides a detailed overview of the 17 case studies developed by the project to test tools and strategies for the sustainable development and spatial allocation of aquaculture in a variety of environmental and socio-economic contexts. Main specificities of each case study are highlighted, together with the related management and planning issues identified. The document also illustrates the results obtained through tools application in each case study and the adopted strategy for stakeholder engagement. The synthesis report prepared under the same project summarises planning challenges facing the aquaculture sector and discuss tested tools to address these and support better spatial allocation of aquaculture activities. It also gathers recommendations on the further development needs of tools and strategies supporting spatial planning of sustainable aquaculture. What EXAMPLES are available on re-alloacation of marine aquaculture infrastructures? The Aquaculture- from conflict to blue growth: An example of Aquaculture cages re-allocation​ Practice provides a detailed overview of a real case study example on how existing marine aquaculture cages were re-allocated to new offshore areas around Malta so as to avoid or minimize the impacts that the feeding of these cages where creating onto coastal activities such as coastal tourism. It illustrates the story behind this re-allocation providing a timeline with the steps and measures that were taken to minimize this conflict and to obtain a more sustainable aquaculture in Maltese waters.